Jobs in Port Macquarie - Jobs in Port Macquarie, employment in Port Macquarie, Eather Recruitment Employment Agency helping you find temporary work, permanent jobs, contractor jobs in Port Macquarie and Mudgee. | Jobs in Port Macquarie, employment in Port Macquarie, Eather Recruitment Employment Agency helping you find temporary work, permanent jobs, contractor jobs in Port Macquarie and Mudgee. 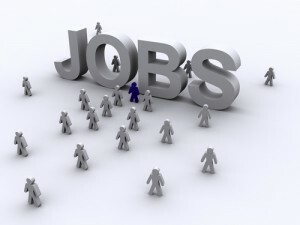 Home » Jobs in Port Macquarie - Jobs in Port Macquarie, employment in Port Macquarie, Eather Recruitment Employment Agency helping you find temporary work, permanent jobs, contractor jobs in Port Macquarie and Mudgee. Port Macquarie is a wonderful coastal town with a great many assets. It offers a relaxed lifestyle along with picturesque beaches and country access. It’s almost right in the middle of Sydney and Brisbane and has a growing population. The future is bright with a new developments and the commencement of a new University, Charles Sturt in 2016. It’s no wonder we frequently receive inquiries for jobs in Port Macquarie, especially from the many “commute weary” workers in Metro areas. We are often asked ”How can I find a job in Port Macquarie“. No matter what your work history, you will need to tailor your resume to fit in with the local job market. Make sure you research and study the types of jobs on offer- where there are; what they are and how often that sort of role is advertised. Make sure you go to all the job sites and scour for jobs in Port Macquarie. Does your resume still sound city-centric and too role specific? Many jobs in Port Macquarie require staff to be multi-skilled and across a number of diverse roles. This is often labelled as “wearing several hats”. Make sure your resume does not have too much detail. Less is more. Have you included an “about me” statement that gives the reader a little snap shot of what type of person/job/ career you are after? And perhaps why you are re-locating? Don’t be afraid to contact any of the local recruitment agencies as well as the larger employers in the area to ascertain the temperature of the job market. If there are no jobs in your specialized field, perhaps you might consider other roles that will utilize your core and transferable skills? Research the cost of living and the housing / rental market. Is relocation financially viable? Most importantly, salary levels are on the whole, lower in Port Macquarie than in Metro areas. Make sure you weigh up the costs and the benefits first! Look beyond jobs in Port Macquarie. Check out our nearest towns, and other close-by geographical areas, outside of Port Macquarie. For example the Kempsey and Taree areas, it may be another, further commute; however, this widens your options and opportunities for work. Candidates in local employment have a higher chance of gaining another job, than those who are out of work. Lastly, our Recruitment services offer advice and consultation on finding work in the local area – go to http://bit.ly/1JVa6cY for more information and pricing on our Talent and resume review service. Not only will you be furnished with a great resume, you will have a stronger and more specific idea of what the local job market has to offer. This advice is priceless and will assist you to determine your goals as well as set a path to finding a job in Port Macquarie. Wishing you all the success in finding employment in Port Macquarie.